Sometimes you just need a LWD (Little White Dress) in your life. I'm still down in Florida today but don't worry your little heads, I'll be home soon! I love this LWD! I haven't been too confident that I can pull one off, but I need to try this one :) Is it this season? Yep! It's definitely still online if not stores. Yep! It's definitely still online and probably in stores. Cute! I like that you paired it with a jean jacket, too! LOVE that dress! I saw it at Kohl's recently and contemplated getting it in red! 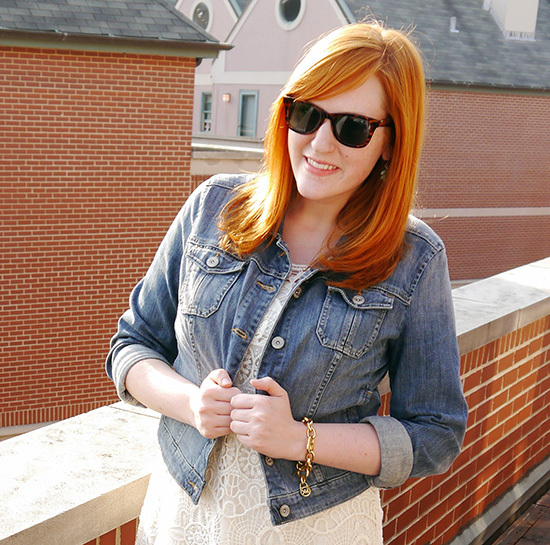 The white is gorgeous on you - love how you matched it with the denim jacket. 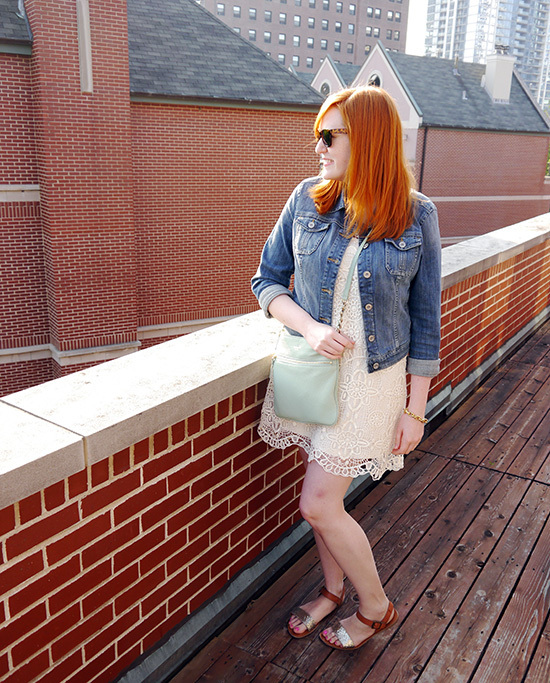 I love lace dresses, can't go wrong with it! GORGEOUS!!! It is so perfect on you! Love the dress. Now I want a LWD in my life! 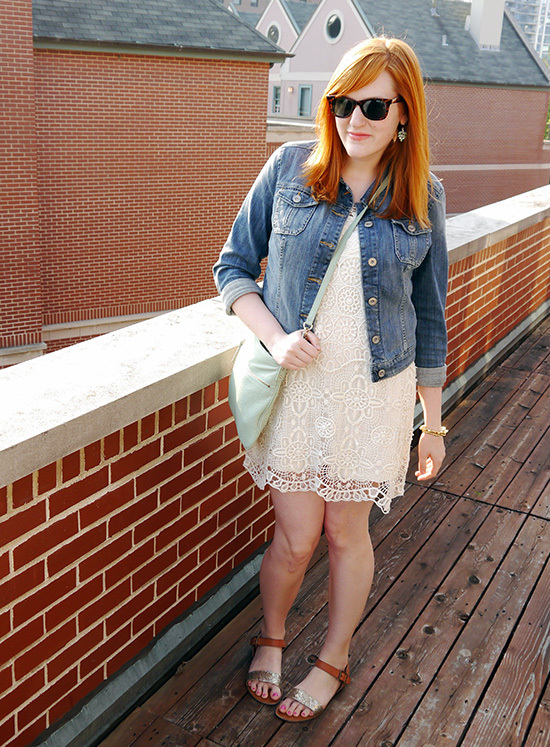 This is the second LWD post I've seen today, I guess with the warm weather it's what everyone is reaching for! Looks gorgeous on you, the crocheted pattern is stunning. Such a pretty look on you, Kristina! I love the lace. You look so pretty in this white dress. It's just perfect for summer! Thanks Emily! 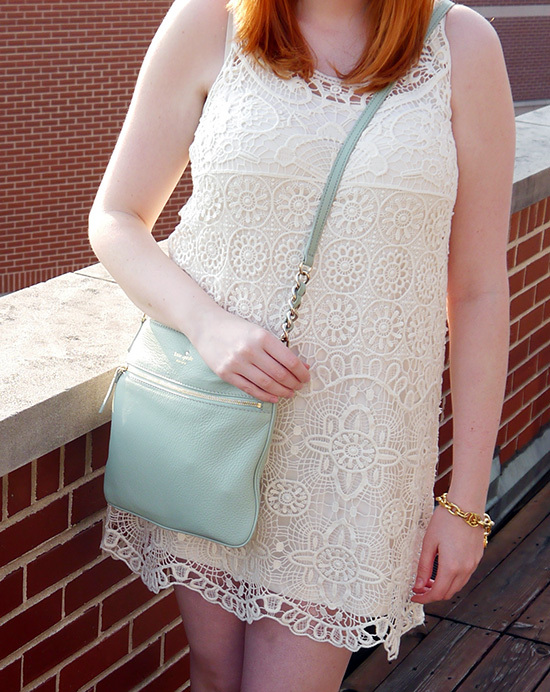 I keep wanting to pick up more and more lace pieces for summer. Oh you should definitely add one! Thanks! Yes, definitely perfect for summer. Very cute! I still need a LWD in my wardrobe. I also LOVE the mint bag!